How do you infect students with a passion for learning? This is the prompt for Week 10 of the #youredustory blogging challenge. As with all of the prompts so far, it is a loaded one. I believe all learners are infected with a passion for learning. The only problem is that for many, this usually has nothing to do with school learning. So I will adjust the question as many writers have done throughout the challenge and ask “how do I infect students with a passion for learning when learning at school?” This is the challenge in the era of overloaded curriculums and excessive standardised testing. For me, I always start with the one element in the context that I am in control of….me! Passion in order to be infectious needs to be sincere. Feigned passion falls flat every time. I genuinely enjoy my job and I love what I teach. In fact, my wife often jokes with me that I do for free in my spare time what my employers pay me to do every day. Being passionate about your work doesn’t make it work, it makes it play and I get to play every day. This passion for what I do flows out of me. 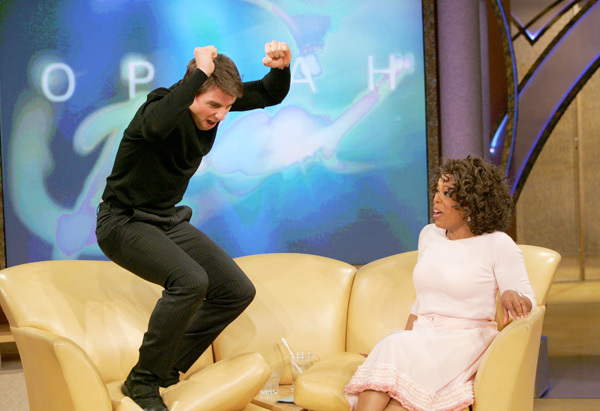 I get excited, maybe not as excited as Tom Cruise but I get pretty close…and yes I’ve just blogged about Tom Cruise…credibility stocks plummeting!! The excitement always begins with planning. I love constructing learning prompts and challenges that promote curiosity and discovery. A vital element in this process is student voice. Aaron Davis (@mrkrndvs) and I presented at the DLTV conference last year on the importance of voice in the classroom (you can find the resources here). Co-constructed curriculum, student interest, student questions, shared inquiry help facilitate buy in from students. It helps to create a sense of shared ownership of the learning and the one thing that all learning theories can agree on is that for learning to occur, learners need to be actively engaged in the construction of new knowledge. As well as being an advocate for student voice, it means nothing without student action. I implore students to find problems, develop theories and resolutions, implement them and then reflect. At the heart of all of this is connection. Developing strong teacher-student relationships with open communication channels helps enrich the learning for all. The conversation on the way to class, the banter during transition, the casual conversation at the start or end of a session can sometimes provide the greatest insight into what students are passionate about and this should feed into your classroom. Find out what students are passionate about, talk to them about it, talk to them about how they worked through difficult challenges or how they achieved great success. Our role as an educator is to create a school learning environment just as engaging. This is how I try to (not infect but) tap in to student passion for learning.